I'm an entrepreneur, creative artist, business owner and a freelance designer. I enjoy challenges, creativity is my passion. i always try to create original, elegant, crisp and creative designs. also build friendly and strong relationship with respected clients. For anything please feel free to contact me. BLIND CONTEST ? => Invite me. Or Invite me 1 to 1 Project. 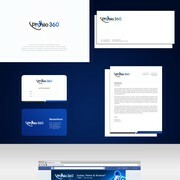 "Over 1000 design were submitted for our competition - AbodyStudio hit the brief and we are very happy with their service. Very prompt with providing changes exactly as we asked. Will highly recommend to others!"